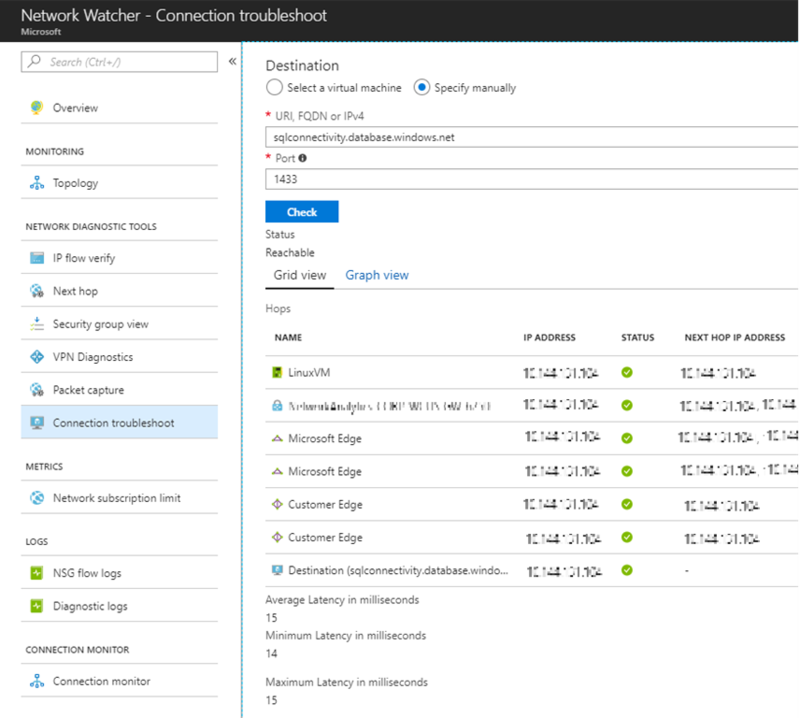 Azure Network Watcher Connection Troubleshoot, previously in preview as Connectivity Check, is making general availability sporting a new name. Connection Troubleshoot, part of our Network Watcher suite of networking tools and capabilities, enable you to troubleshoot network performance and connectivity issues in Azure. Continuing the expansion of tools within Azure Network Watcher, this new addition provides visualization of the hop by hop path from source to destination, identifying issues that can potentially impact your network performance and connectivity. Connectivity troubleshoot check graph view output Source: Azure VM and Destination: www.bing.com. What kind of issues can Connection Troubleshoot detect? Which scenarios are supported by Connection Troubleshoot? Connectivity between your Azure VM and an Azure SQL server, where all Azure traffic is tunneled through an on-premises network. Connectivity between VMs in different VNets connected using VNet peering. In this example, connection troubleshoot detects that traffic is blocked by the destination VM firewall. To learn more and get started using Connection Troubleshoot, please visit our documentation page. Can I use Connection Troubleshoot through other means than the Azure portal? 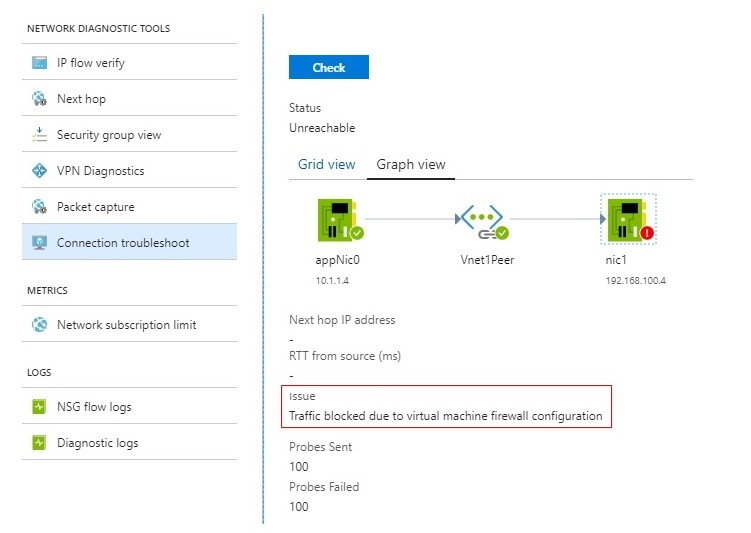 Yes, Connection Troubleshoot and all Network Watcher features are available using both the Azure portal, as well as using PowerShell, Azure CLI, and REST API. You can even run Connection Troubleshoot continuously using Azure Functions triggered by a timer to initiate troubleshooting via PowerShell. In the future, stay tuned for a Network Watcher experience enabling continuous connection monitoring of your network infrastructure. How can I provide feedback for Connection Troubleshoot? You can provide feedback for Connection Troubleshoot and all Network Watcher feature through the Azure feedback forum.